Guests: John Batchelor, Dr. Alan Stern, Dr. David Livingston. Topics: New Horizons, Pluto and its moons, dwarf planets. You are invited to comment, ask questions, and discuss the Space Show program/guest(s) on the Space Show blog. Comments, questions, and any discussion must be relevant and applicable to Space Show programming. Written Transcripts of Space Show programs are not permitted without prior written consent from The Space Show (even if for personal use) & are a violation of the Space Show copyright. We do not permit the commercial use of any Space Show program or part thereof, nor do we permit Space Show programs to be edited, placed on YouTube, or other private channels & websites. Space Show programs can be quoted in news articles, papers, academic & research work but must be cited or referenced in the proper citation format. Contact Dr. Livingston for questions about our copyright and trademark policies which we do enforce. This program is archived on The Space Show website, podcasting, and blog sites with permission from John Batchelor. Please visit the John Batchelor Show website for more information about this fine program, www.johnbatchelorshow.com. Remember, your Amazon Purchases Can Help Support The Space Show/OGLF (www.onegiantleapfoundation.org/amazon.htm). For those of you listening to archives on live365.com & rating the programs, please email me the reasons for your rating. This will definitely help improve Space Show programming. Thank you. Please note that audio and transition issues are a result of copying the John Batchelor broadcast & are not within my control as they originate in the Batchelor studio. John Batchelor and I welcomed back Dr. Alan Stern to discuss New Horizons which is now closing in on its flyby of Pluto after a nine year plus mission from Earth. We talked about the condition of New Horizons, the actual flyby, the collection of data and the transmission of the data back to Earth. We also discussed the Hubble Space Telescope findings about the strange tumbling of several of Pluto's five moons with data from New Horizons starting to confirm the Hubble images. Alan talked about the formation of moons in the Pluto system and said it was similar to the Earth-Moon formation. He said Pluto was the only other place in the solar system like our Earth-Moon system and it lies on the far outer edge of our solar system billions of miles from Earth. New Horizons is an exciting mission with lots to look forward to as the flyby happens and we get the data back from the satellite. 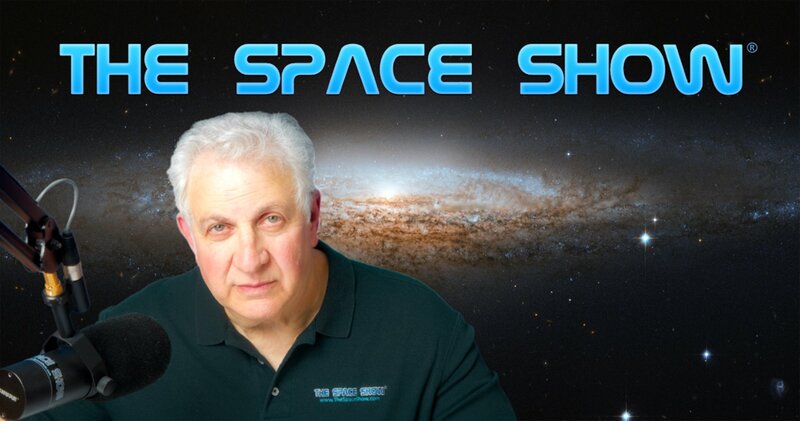 You can email Mr. Batchelor or Dr. Stern through me at drspace@thespaceshow.com.